Who's buying LA's creepiest spots? 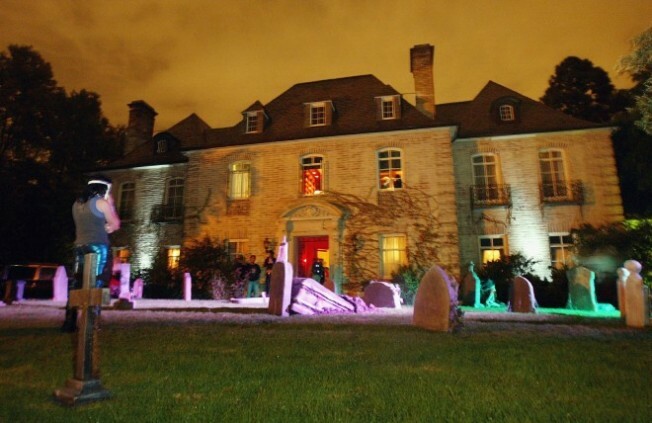 You can throw one killer Halloween bash with your own petrifying pad. Shane Black did it with this place in Hancock Park, Los Angeles. Back in 2006 the Nightmare on Elm Street house on Genessee was for sale. Truly haunted, or just filled with the echoes of Freddy's screeching dagger digits and Nancy's pleas for a good night's sleep? No doubt a cozy slice of heaven for horror buffs. Originally located in Carpenteria, CA, Alfred Hitchcock's 'Psycho' house and the Bates Motel are now part of Universal Studios. But you can find houses near the Bates Road offramp for a chilling $4.55 million. Fans of voyeuristic thriller 'Disturbia' will be happy to note its creepy Craftsman is for sale. Is it the nooks-and-crannies architecture that appeals, or the prime Peeping Tom opportunities? No discount for pretend dead bodies, though -- this one's going for $1.23 million. Would you buy a horror house? If you prefer to stay on the outside of the creaking porch looking in, check out these low-commitment (and less expensive) LA Halloween events.